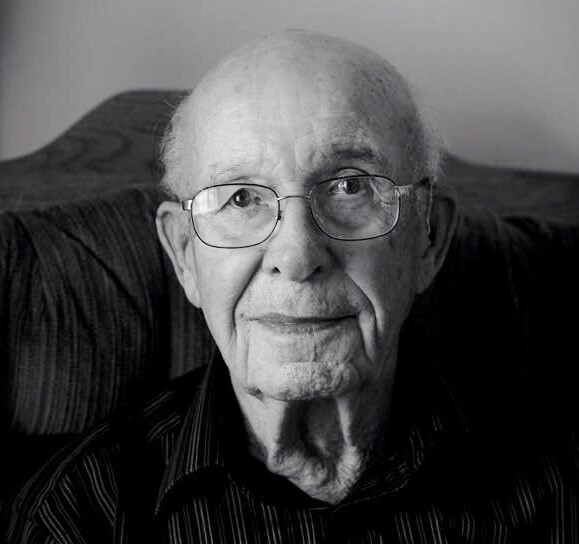 Howard R. Eccleston, age 97 formerly of Conneaut, died Sunday morning November 25, 2018 at the Diversicare of Nicholasville, Ky.
Howard was born on November 22, 1921 in Conneaut, Ohio the son of Mike C. and Ethel (Hoover) Eccleston. He was a 1939 graduate of Rowe High School. Howard enlisted in the United States Army and served his country with the 379th Bomb Group 524th Squadron until he was honorably discharged in 1945. Howard received 6 Bronze Stars and other awards for his service during WWII. Howard returned to Conneaut, after marrying his wife Elinor Smith Eccleston on Nov 19, 1945 in North Platt, Nebraska. Howard worked for the Bessemer Lake Erie Railroad in maintenance and Eaton’s Greenhouse. Howard became a postal worker, delivering mail in Conneaut from 1954 until his retirement in 1981. He is a member of New Leaf United Methodist, where he served as a past church trustee for many years. Howard enjoyed being outdoors, canoeing and traveling. Howard loved the time he spent with church friends, and especially family gatherings and holidays. He loved eating pies and custard was his favorite! Howard was preceded in death by his parents, his wife Elinor Eccleston in 2007, infant son Larry Howard, sister Ellen Gurto and brother Edmund Eccleston. He is survived by his children Scot Eccleston of Harrodsburg, KY, Marc Eccleston of Thailand and Shari Eccleston of New Mexico, two grandchildren and 5 great grandchildren and several nieces and nephews. Graveside services will be held at 1:00 p.m. on Friday, November 30, 2018 at East Conneaut Cemetery, Furnace Road, Conneaut where the American Legion Honor Squad will conduct military honors.